When Nathan was almost 1, my husband and I booked a city break to Stockholm. We looked forward to sipping cocktails by the water, visiting the odd museum and meandering around the Old Town, with Nathan smiling happily in his buggy. I had visions of bringing back funky throws, candles and cushions to transform our South East London semi into a hygge paradise. Alas, it was not to be. We had not yet discovered the sad truth all new parents need to work out for themselves – that trendy city breaks with very young kids in tow are often a Bad Idea. The writing was on the wall before we even landed – with Nathan sporting a bleeding ear, paramedics meeting us off the plane followed by a swift jaunt to Stockholm Hospital’s A&E department. It transpired to be nothing more than scratched ear but this drama set the scene for a tricky couple of days. We discovered that leisurely meals with a moody baby were out and early evenings huddled under a duvet in the darkness of our boutique hotel room, while willing Nathan to sleep, were in. 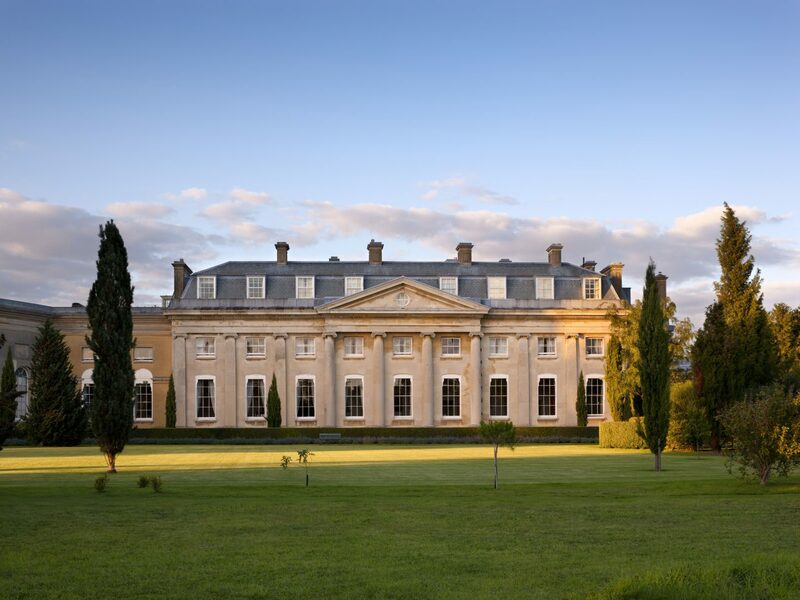 Aware of the error of our former ways, we looked closer to home for our next break and chanced upon The Ickworth, a hotel in Suffolk which is part of the Luxury Family Hotels Group. The former ancestral seat of the Hervey family (Ladies Isabella and Victoria being notable celebrity members) is set in 1800 acres of stunning parkland. The last resident was the 7th Marquess, John Hervey, who sold the lease in 1998 to the National Trust after his lavish and colourful lifestyle plunged him into debt. The imposing Italian-inspired stately home gives a grand impression but the hotel doesn’t have any of the pretentiousness you might expect. 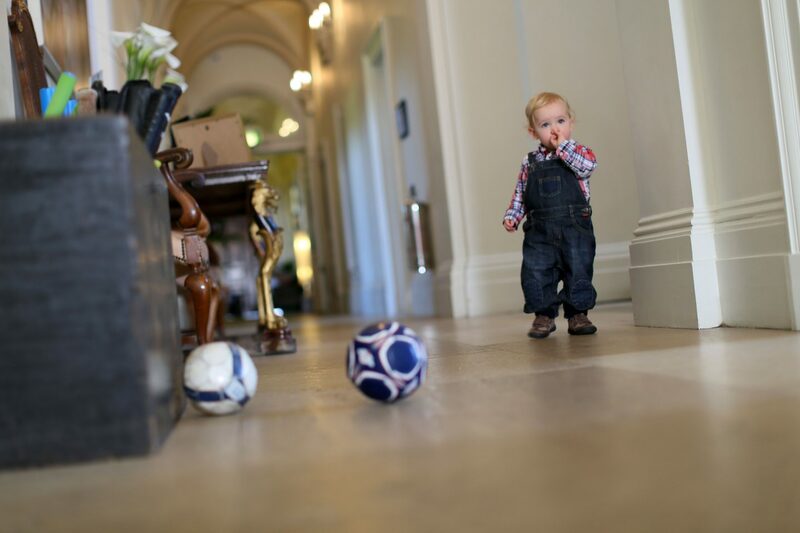 Nowadays The Ickworth – and all of the hotels in the chain – pride themselves on being a relaxed home away from home, where adults, kids and even dogs are welcomed with open arms. It’s certainly changed since it played host to debauched parties for 80’s pop stars, but The Ickworth still oozes glamour, with modern chandeliers, elaborate sweeping staircase and funky furniture. Happily, the staff couldn’t care less if you go for dinner in your slippers (we did) or if you have a muddy, snotty toddler marauding noisily about the place. For parents looking for a bit of chill time, there is a fully equipped and OFSTED registered crèche for babies and children from three months, up to 8 years old. It offers two hours of free childcare per day, run by the lovely Alison and her team. Nathan is generally a bit jittery about being left in unfamiliar places but cheerfully waved goodbye as he got stuck into the play kitchen. This left us to kick back with a glass of wine upstairs and the chance to flick through the Sunday supplements in the elegant lounge area, which boasts open fires, interesting artwork and tall windows overlooking the stunning gardens. Where wild parties with high society once took place, now kids are catered for at every corner, with toy boxes dotted around, a games room with table tennis and consoles and a cinema room showing kid-friendly films every night. The beautiful conservatory also plays host to a daily high tea for little ones between 5-6pm, along with plenty of paper and coloured pencils for scribbling. 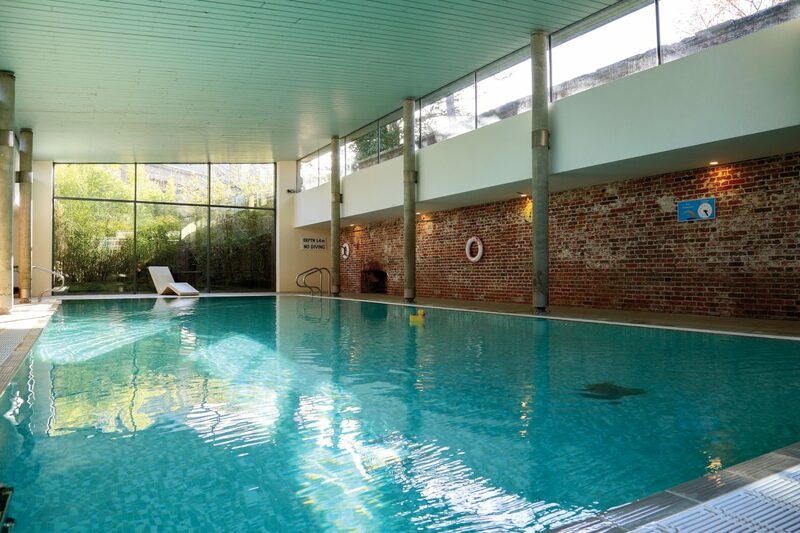 A highlight for us was the Ickworth’s attractive indoor pool, which is heated to 30 degrees. The pool room’s large windows overlooking greenery give it a pleasant forest feel. We’d generally get in the pool before breakfast and would have it to ourselves. It’s open from 7:30am until 9pm and kids are allowed in any time, as long as they’re accompanied. Once you step outside there’s plenty to explore too. The Ickworth has a walled play area – The Fairy Garden – with lots to keep children occupied. There are also bikes and toddler trailers to borrow and a tennis court. One of the benefits of staying in the main building (as opposed to the Butler’s Quarters or The Lodge, which are a short walk away) is the baby listening service. Once you’ve got the kids down to bed, simply let reception know and they’ll listen in, so you can relax and enjoy dinner in Frederick’s, the adults-only restaurant. We found the food to be of a very high standard – make sure to leave room for dessert. The chocolate marquise and iced cherry parfait were sensational. If you order a bottle of wine and don’t finish it (though not a problem for us!) they will happily keep it for you to enjoy on your second night. Hotel guests get free admission to the rest of the Ickworth estate, which is owned by the National Trust. The jewel in its crown is the magnificent Rotunda building, which was commissioned by the 4th Earl of Bristol to house the treasures he picked up from his travels. When we stayed, the State Rooms weren’t open due to refurbishments, however there are daily tours and weekend access which give visitors a behind the scenes look at the basement and areas formerly used by the Hervey family’s domestic staff. You can also spend hours outside exploring the woods and sculpted gardens. During school holidays they run a number of reasonably-priced activities for kids, such as den building and arts and crafts. The Ickworth is perfect for time-poor parents who don’t want to drive for miles to get away from it all. The combination of luxury surroundings, great service and all the excellent facilities for kids set it apart from anything else within a two hour drive of London. We’ve been every year for the past three years and 2018 won’t be our last. Playing Lord and Lady of the manor is just too much fun. Wow sounds like a super place to stay with kids. Thanks so much for sharing!! What a wonderful place! It looks stunning. We have family in Suffolk and go down often but never been here. Quite rare you get such a nice place that caters for children. This looks amazing and isn’t too far from me. Perfect escape. this looks a gorgeous place to stay. This looks amazing. I’ve been to the Weymouth and Cornwall sister hotels so I’ll add this to the list! I’ve heard the Cornwall one is amazing. I’d definitely like try the others. We’ve been to the New Forest one but we preferred The Ickworth. What an amazing looking place – wow.